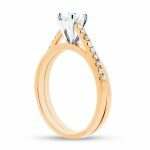 There is no denying that in the last number of years there has been a huge increase in the popularity of rose gold jewellery, but did you know there is actually no such thing as naturally occurring rose gold. 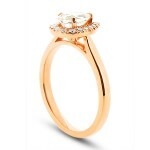 The process to make Rose Gold is done by adding copper to gold to give it a pinky or rose hue. 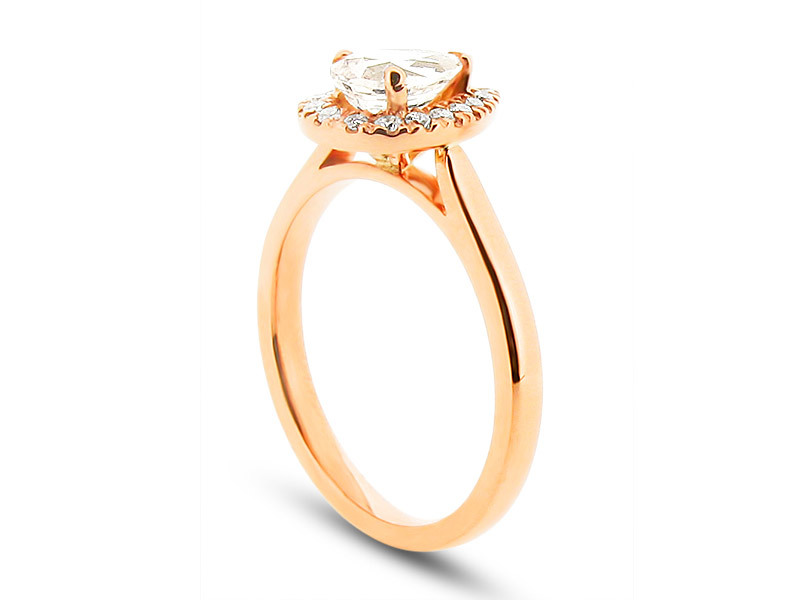 It is rare that you will find Rose Gold of a high carat value this is because the higher the gold content in the piece the less rose it will appear. The origin of rose gold jewellery spread throughout Russia in the beginning of the 19th Century as it increased in popularity due to its distinctive look. Rose gold was most popular during the Victorian era from around 1830 to 1901, this was due to the fact pink was considered the colour of romance, after this time white metals became increasing in popularity. It wasn’t until the 1920s when Rose Gold became popular in the United States, when Cartier introduced the Trinity a ring which was made of three interlocking yellow, rose and white gold bands. The French writer and filmmaker Jean Cocteau made this style of ring popular by stacking two on his baby finger. 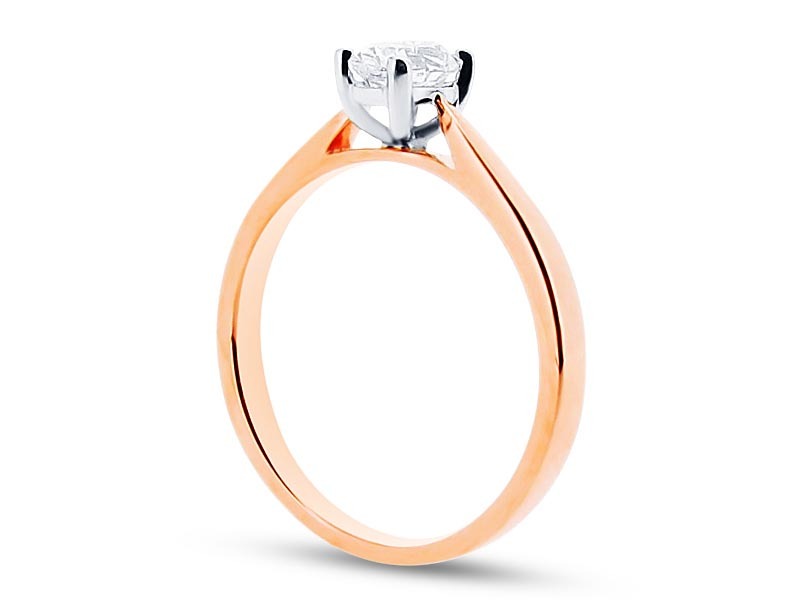 The recent rise in popularity could be associated with the fashion as the 21st century has seen a rise in more feminine styles and looks which are complemented by Rose Gold. There was a time that when an engagement ring was purchased there was very little choice in terms of the metal, thankfully that has changed. So why would someone choose an Engagement Ring? Style: The wearer may have a very unique style and may not be a fan of the traditional or more popular types of engagement rings available. Skin tone: Due to the severe lack of Sun in Ireland our skin is generally paler, and because of this warmer metals such as yellow and rose gold can actually complement our skin better. Stone: If you are choosing a coloured stone for your engagement ring, bear in mind what metal will complement the stone. In general champagne diamonds, morganite and gemstones of similar colour tones tend to look better in rose gold whereas deep blue’s such as sapphire are more suited to white metals. White diamonds are enhanced by white settings this is normally either white gold or platinum, but they can look equally as exquisite in any coloured metal. Wedding band: It is important to bear in mind (no pressure) that the engagement ring will be worn beside the wedding band and should complement it. Some rose gold rings will pair very well with a band. An engagement ring is quite possibly one of the most important pieces of jewellery that a person will receive, it’s important that the wearer is happy with it as it will be on their hand for hopefully a very long time. 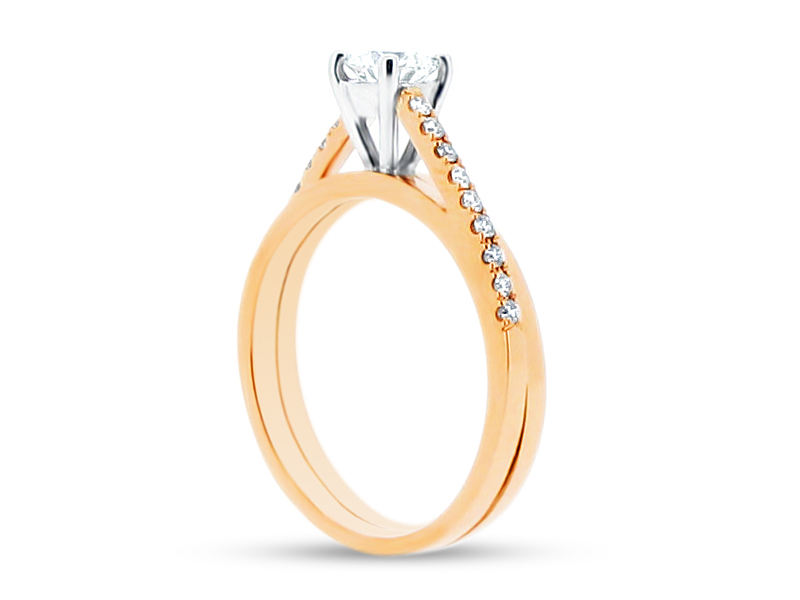 With our expertise in the jewellery business, we at Voltaire Diamonds will advise you along every step to help you find “the one” click here to contact us to start talking about the rest of your future. 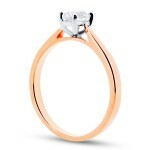 This entry was posted in Diamond Education, Engagement Rings Dublin and tagged Rose gold, Victorian era.